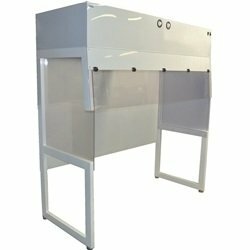 Vertical laminar flow hood with air re-circulation plenum from 3 feet to 8 feet length. Back plenum reduces the percentage of dirty air passed through the filter. Also available without worksurcae with open frame base that can sit on any standard worktables, or with attached worksurface and optional supporting stand. ESD control option such as ionizing bar and static dissipative material. 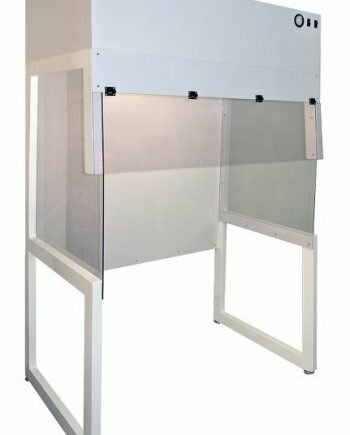 Vertical laminar flow station is a free-standing laminar flow booth or a mini cleanroom with one or two fan /filter units (FFU) on the ceiling. 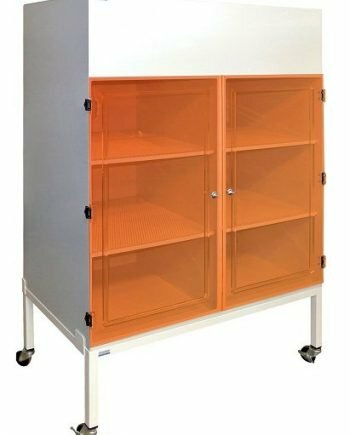 Constructed from heavy duty epoxy powder coated steel frames, clear PVC side panels, polypropylene housing and back wall all cleanroom compatible materials. It can be used with many standard work benches. Fan system is isolated from the work area making it ideal for vibration sensitive applications. 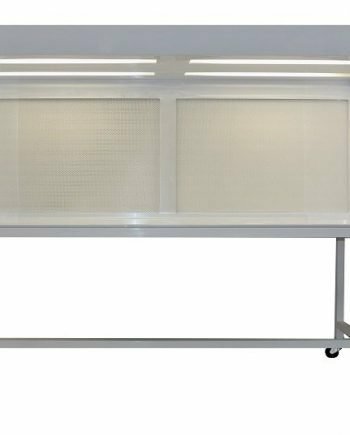 Laminar flow workstation, a clean bench with vertical airflow, attached seamless worksurface, polypropylene construction, is an economical solution for ISO 5 (Class 100) applications. 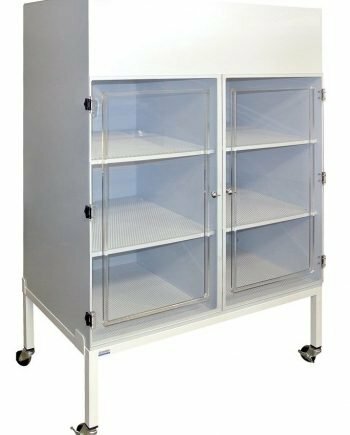 Available in 3 feet and 4 feet width, optional mobile base, UV germicidal light, HEPA or ULPA filter, Static dissipative sash and side windows. 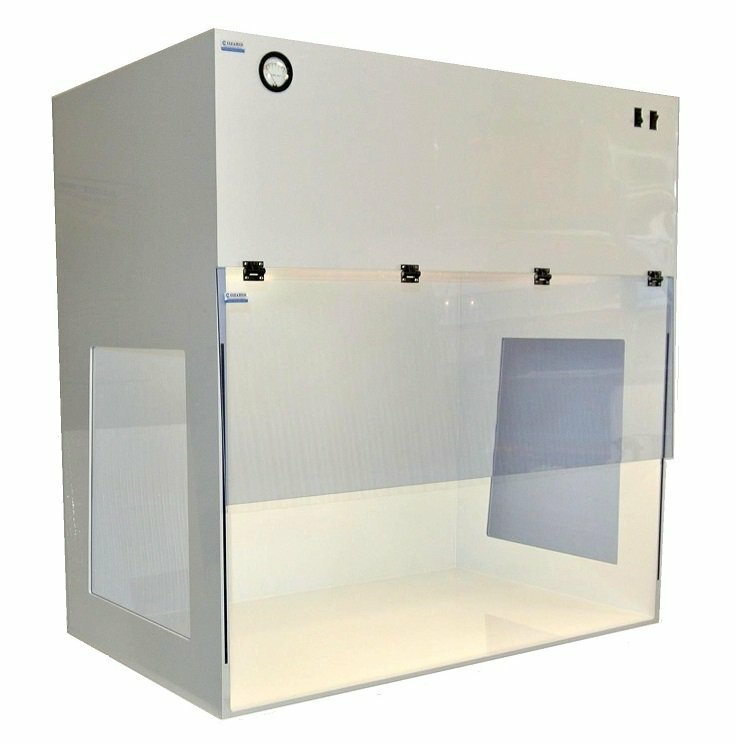 Portable laminar flow hood, a vertical air flow bench, small and light-weight design, and space-saving design available in 24” and 32” width and three different materials: Clear static dissipative PVC, clear Non-dissipative PVC and white polypropylene. 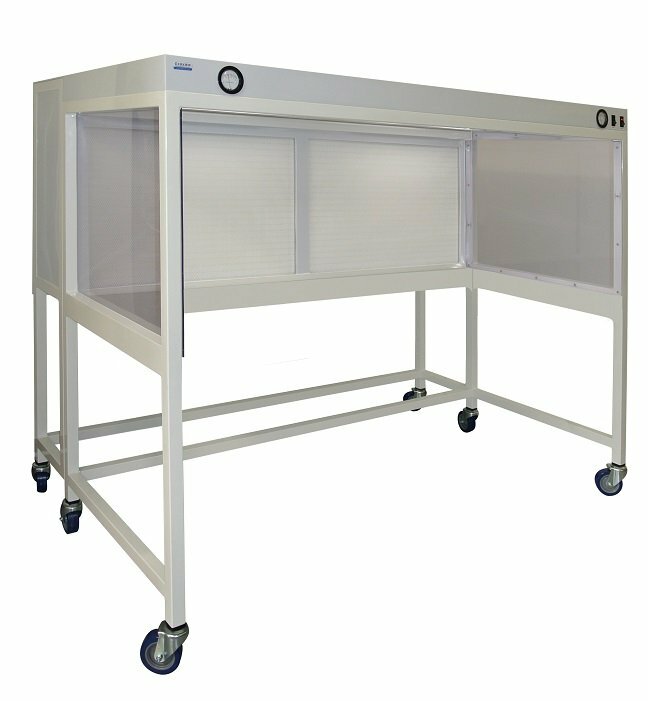 It provides HEPA filtered, positive pressured clean work area for medical laboratory, manufacturing, tissue culturing, and data recovery applications. 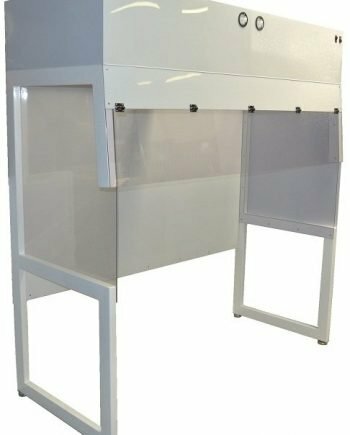 Horizontal laminar flow hood with rear wall filtration, Constructed from all seamless polypropylene. Since air blows directly toward operator, hands and gloves are less contaminating the samples. 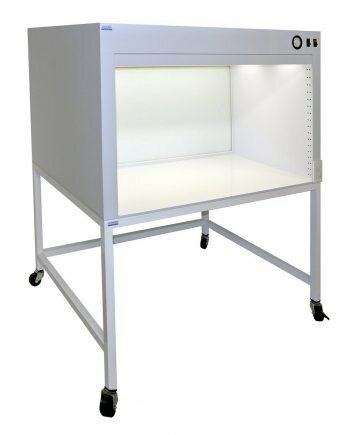 Great choice for applications that require an ISO 5 environment such as IV preparation, non-biological tissue culturing, Electronic assembly, non-hazardous drug compounding, parts inspection or optics assembly. Construction available in powder coated steel and 304 Stainless Steel. They are available in 3 to 8 feet length and can be used without worksurface for application are sensitive to vibration. The worktable can be placed inside the hood and being isolated from the hood body. 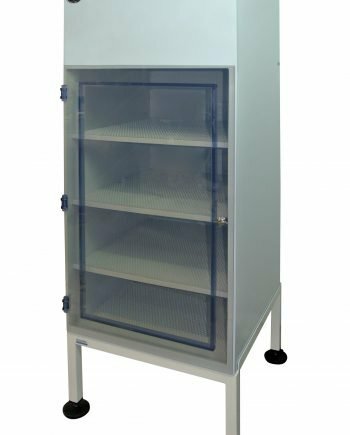 Laminar flow storage cabinet, with removable perforated shelf, provides a positive pressurized clean environment for storage of the pharmaceutical, medical material, food any other products where clean conditions are required to protect them from airborne contaminants. 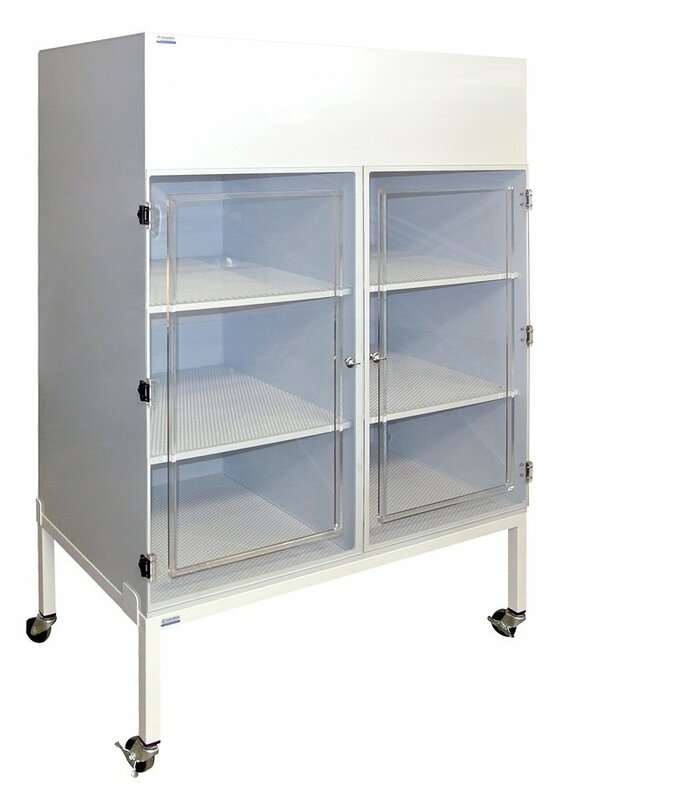 Available in two feet and four feet, cleanroom compatible construction. 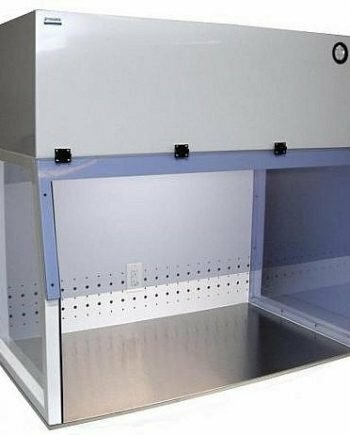 Laminar flow hoods and clean benches do not offer personnel protection as biosafety cabinets do. They are not suitable in the presence of hazardous substances. 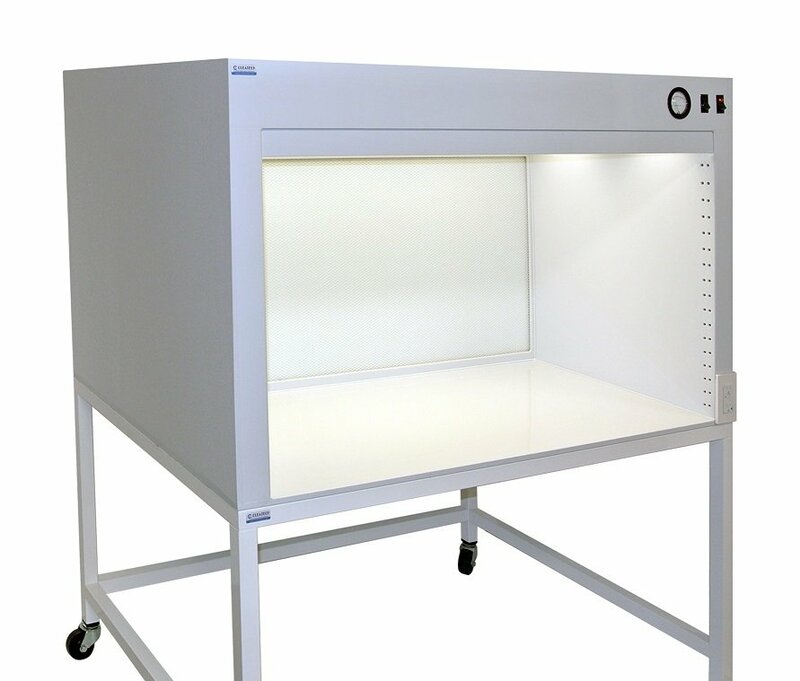 If your application involves bio-hazard, a biological safety cabinet should be used. 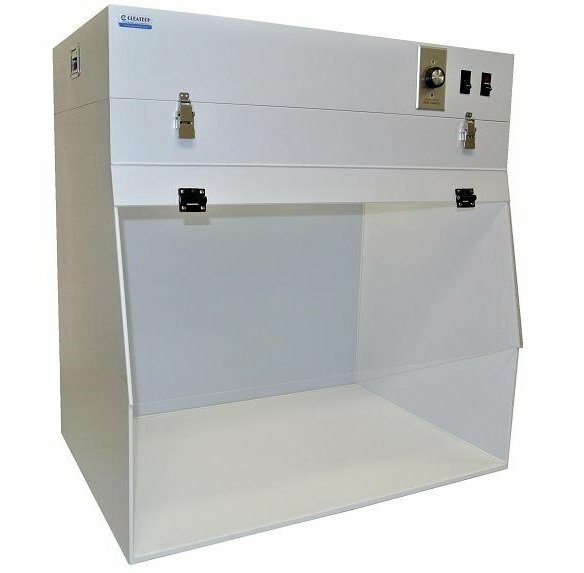 Cleatech laminar flow cabinets create a clean-air environment needed for laboratory or pharmaceutical procedures. Great for use with antibiotics, thermal cycler, centrifuge, preparations of IV Admixture or other drugs, plant Cell Culture but should only be used if the cultures are harmless to you and the environment. Ideal for medical, food and industrial sectors for sterile manipulations, electronics, assembly of miniature mechanisms any other application where clean conditions are required to protect the product from airborne contaminants. 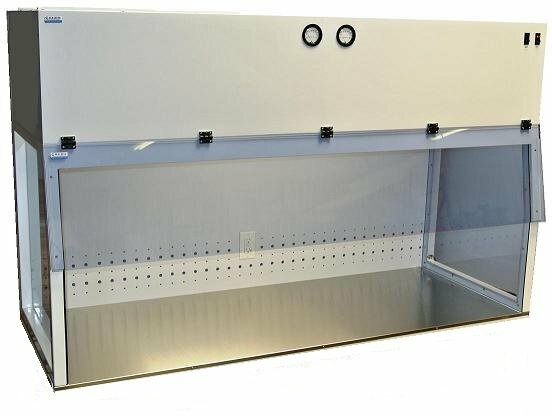 Laminar Flow Hoods incorporate 99.99% efficient HEPA or 99.999% efficient ULPA fan / filter modules that remove particulate airborne contamination to meet cleanliness requirements. 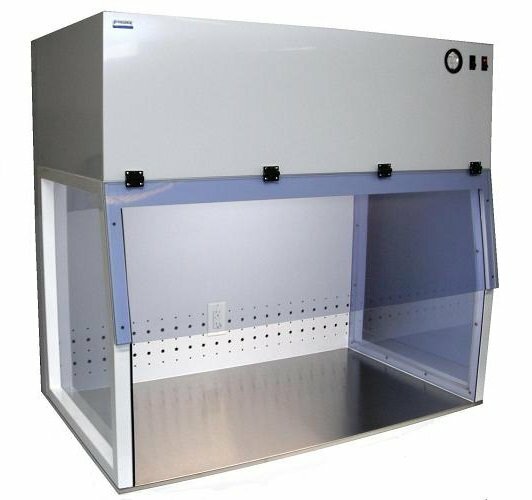 Buy your laminar air flow hoods Online from Cleatech’s online store. Global Lab Supply offers a complete range of scientific equipment & furnishings. 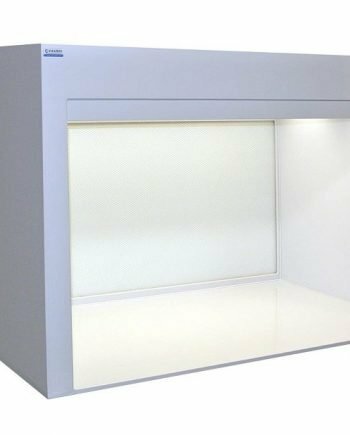 In this video, we will be showcasing Cleatech ‘s Laminar flow hood and Clean benches.